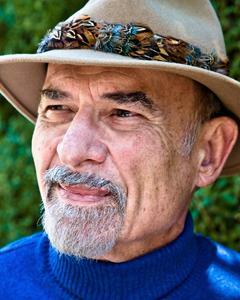 Irvin D. Yalom is the author of the new book Becoming Myself: A Psychiatrist's Memoir. 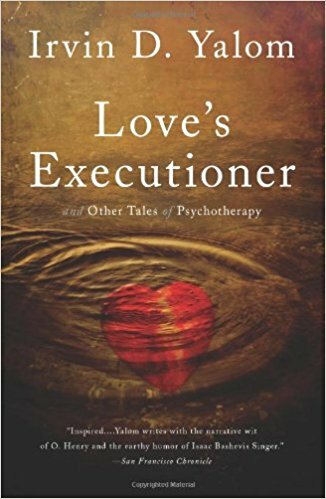 He is an emeritus professor of psychiatry at Stanford University, and his many other books include Creatures of a Day and Love's Executioner. He lives in Palo Alto, California. 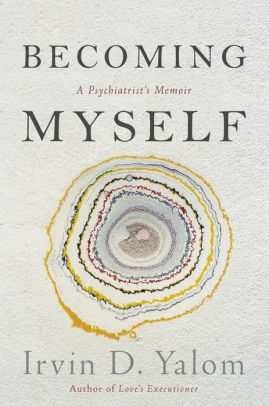 Q: Why did you decide to write this memoir, and how did you decide on what to include in the book? A: For a long time I’ve been writing books pretty continuously, and I had a string of books in my mind. This was always the last one. I’m reaching an age where I decided it was time to do this. I doubt I will write more; I’m 86 now. It’s more difficult to write. I’m still seeing patients. What to put in it was purely organic. [I was thinking] about a naturalist taking a square foot of his yard as if under a microscope and inspecting that. In a sense, that’s the way I was thinking about it. Then, in the first part of the book, I took typical days and events that happened, and what that triggered in me. When I was grown, it turned more into a chronological autobiography. Q: You begin with a memory from when you were 10 or 11 years old, dealing with an interaction with a neighbor. Why did you start with that, and why did the anecdote you describe have such a big impact on you? A: I can’t answer that. I didn’t have a strong chronology with the first section. It could have been any of those memories. It felt [right that] that might be the first one to do; it related more intimately to my background. My parents were immigrants and worked their way up; I worked my way up. Q: In the book, you describe your relationships with various family members. What does your family think of the book? A: I’m 86. Everybody I’ve written about in those days is dead. My sister died two years ago and was never able to see the book. My nephew and niece have not seen it yet. My wife is always my first editor. I think they’ll be very interested. I’m worried certainly about children and grandchildren who would not get enough space in the book. They will probably learn some things about me. They haven’t seen it yet. Q: How would you describe the changes in psychotherapy over the decades, and what do you see looking ahead? A: I entered medical school in 1952, and then had internships and entered the field as a resident in 1957. It has undergone enormous change. I’m a walking history book. 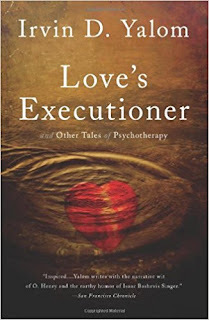 Psychiatry owned psychotherapy. They were the only people allowed to do it. If a psychologist or a social worker wanted to do it, they had to be supervised by a psychiatrist. The great majority of [top] medical school departments of psychiatry were psychoanalytically trained. It was also the American beginning of the interpersonal school, from Harry Stack Sullivan. It looked not just at early life but throughout, including early friends and teachers. That’s the atmosphere I was raised in. 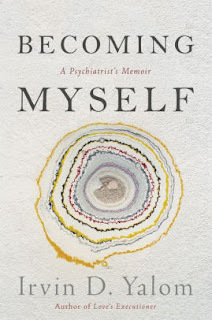 I was very interested in the interpersonal approach, and began to think of that as a very important school; though I had a long psychoanalysis, I felt psychoanalysts left out too much. 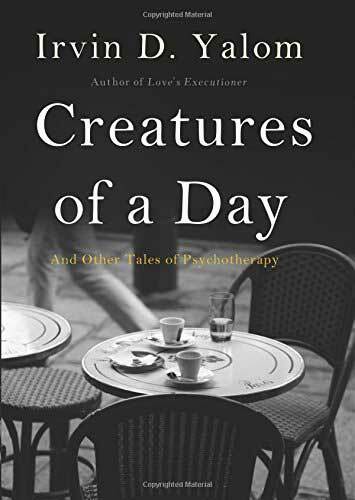 I worked in group therapy, and began to be interested in existential therapy, and later, cognitive behavioral approach came in, and others that held less interest to me. 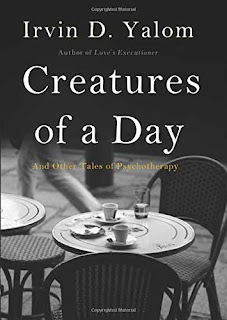 The first non-psychiatrist [with a big impact] on our field was Carl Rogers, a very influential figure. Many students came from his school. Q: And what do you see looking ahead? A: I don’t like the direction psychotherapy is going. If I want to send a patient for psychotherapy, it’s hard to find a psychiatrist. Most doing the work I do are in psychology or counseling. They are mainly responsible for the majority of therapy done these days. People interested in a more humanistic approach may have difficulty using it in their workplace. Therapy can be extremely short, and regulation puts them in a bind. I ache for them. Many want a deeper relationship with a patient. I’m not happy. Q: So you said this might be your last book—do you think you’ll write something else? A: I’ve been writing for all these years. Writing is in my blood. I’m still pulling things into a folder in the computer. I might do some short stories. I’m fiddling around with poetry.